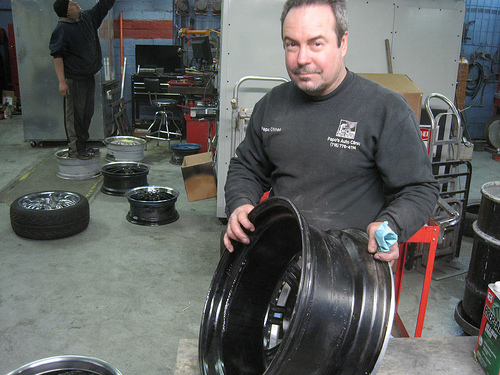 Papo Chinea holds a broken rim up for inspection at his repair shop in Queens Village, Queens. Chinea's business has grown steadily since the winter's heavy snow left potholes in the streets across New York. Photo by Nick DeSantis. Bedbugs received plenty of attention last year, but this spring, a different menace is terrorizing New York. Pavement’s Nick DeSantis hit the streets to witness the damage it’s causing – up close and personal.